Home > Books > Happy Birthday to You! Today you are you! That is truer than true! There is no one alive who is you-er than you! Since 1959, Happy Birthday to You!-Dr. Seuss's joyous ode to individuality-has allowed readers to experience firsthand the thrill of celebrating a birthday as it is done in Katroo. 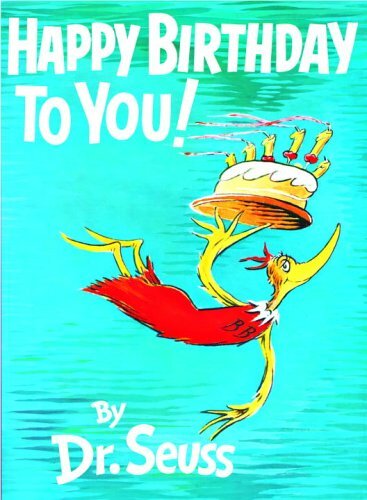 Awakened by the Birthday Bird, you (the reader) are swept out of town on a Smorgasbord's back to begin a day and night of feasting and feting in such Seussian splendor that it will take 20 days to sweep up the mess! 4/2/2009 Gail Fattori said: Great. Classic. 1/30/2009 Mike Brodie said: My favourite use of picture, composition and colour. Well done young lad.